1Beat Nuttelex and sugar together until well combined. 2Mix in the orange rind and egg. 3Sift flours and baking powder together and add to mixture. 4Mix on a slow speed until properly combined. 5Roughly chop the cooking chocolate and fold through the mix. 6Line a tray with baking paper and begin spooning teaspoons of the mix on to the tray. 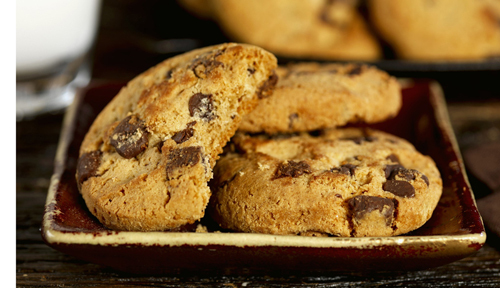 7Pre heat the oven to 180C and bake for approximately 10 – 12 minutes or until cookies are a golden brown colour.